In 2007, the Baltimore-Washington Conference joined in a partnership with United Methodists in the Zimbabwe Episcopal Area. One of the cornerstones of the partnership is a Pastors’ School, held every two years at Africa University. BWC leaders provided most of the support in resources and instructors at first, but the most recent School – in 2017 – saw an equal partnership between both conferences. The next Pastors’ School was set for this July, but Cyclone Idai had other plans. The massive storm struck Mozambique, Malawi and Zimbabwe March 14 and 15. According to published reports, the death toll exceeds 1,000, and an exact number may never be known. 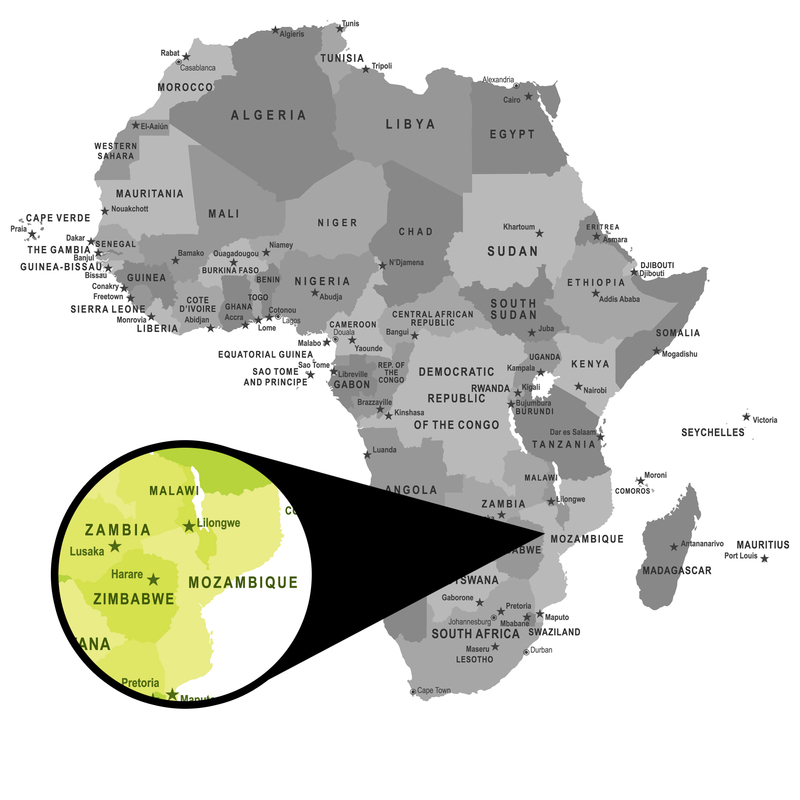 A cholera outbreak was declared in Mozambique as of March 27, and on April 10, more than 4,000 cases, resulting in seven deaths, were reported. The storm has impacted hundreds of thousands of people, with bridges and roads made impassable. Because of the storm, Bishop LaTrelle Easterling of the Baltimore-Washington Conference immediately called for a postponement of the trip. Give to the work of UMCOR by texting UMCOR to 91999. To make a donation to UMCOR’s International Disaster Response, use Advance #982450. Zimbabwe Episcopal Area Bishop Eben K. Nhiwatiwa said the storm was a major blow to his area. Instead of spending the money already budgeted for the Pastors’ School, the money will be used for disaster recovery. The BWC budgeted $99,000 for the school this year, with $32,000 already spent to purchase plane tickets. Conference officials are working to get that money refunded. On a conference call April 9, the Revs. Joe Daniels and Tim Warner, co-chairs of the partnership between the two conferences, along with Charlie Moore and Phil Potter of the Conference Council on Finance and Administration, and Conference Treasurer, Paul Eichelberger, discussed options for funneling aid to the needed areas. With $50,000 coming from conference reserves, the total amount available to give totals $117,000. In a first distribution, $50,000 is earmarked for Zimbabwe, and $50,000 will go to Mozambique. The remaining $17,000, plus money that comes in through the conference-wide appeal, will be split between all three countries in a second distribution. One-hundred percent of all funds received through this special appeal will be directed to United Methodist leaders in Zimbabwe, Malawi and Mozambique to address their most urgent needs. The United Methodist Committee on Relief (UMCOR) has already allocated a $10,000 grant for immediate, emergency short-term funding to meet basic human needs in Zimbabwe. Mozambique and Malawi also received emergency grants. Needs include water transportation and storage for drinking, cooking and personal and domestic hygiene items, along with temporary shelter. Africa University Vice Chancellor Munashe Furusa said in a statement that the main campus and area surrounding Old Mutare Mission were safe. The United Methodist-related institution was having its mid-semester break when the cyclone occurred. Our Maundy Thursday offering will go to this area of UMCOR's ministry here at Hiss UMC (Parkville). All of us can do something.